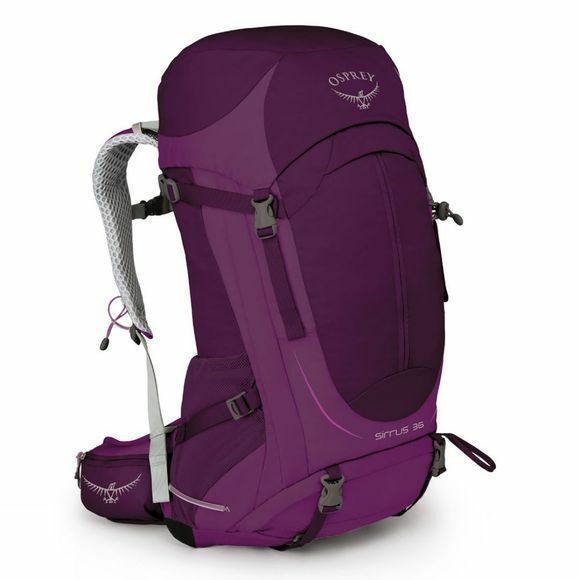 Part of Osprey's new collection for 2017, the Sirrus 36 is perfect for those looking for a ventilated day pack with enough space for extra layers and equipment for hikes in changeable weather as well as camping equipment and overnight gear for those who want to stay in the wilderness a little longer. Sirrus' backsystem also offers an impressive women's specific fit, with an ergonomically shaped hipbelt, harness, yoke and backpanel. 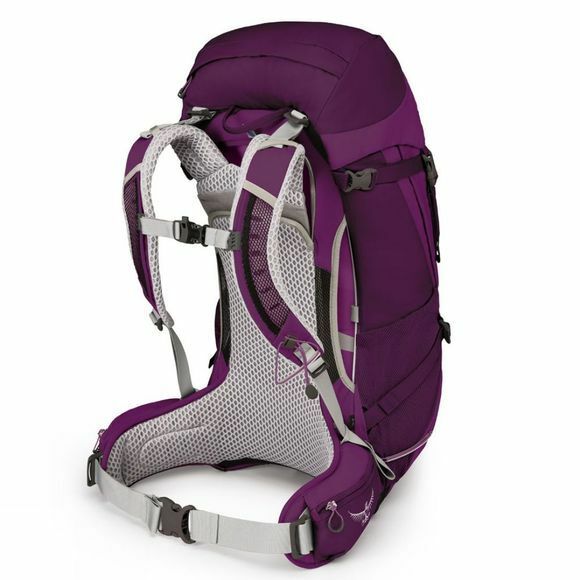 The fully adjustable AirSpeed™ ventilated back system with breathable suspended mesh provides comfort in warmer climates, even when the pack is full. A durable, detachable raincover helps to keep the contents of the pack dry should the weather take a turn for the worse. The Sirrus 36 features a double-clipped lid opening with draw-cord fastening, a large, easy access pocket in the lid and a vertically zipped expansion pocket on the front which is perfect for storing a jacket or spare layer. The pack has a single vertical zip on the side of the pack that allows access to the main compartment and has a zippered sleeping bag compartment with a divider to allow you to easily organise your equipment. Sirrus 36 is compatible with all Hydraulics™ and Hydraulics LT™ reservoirs, so you won't need to keep stopping to rehydrate.